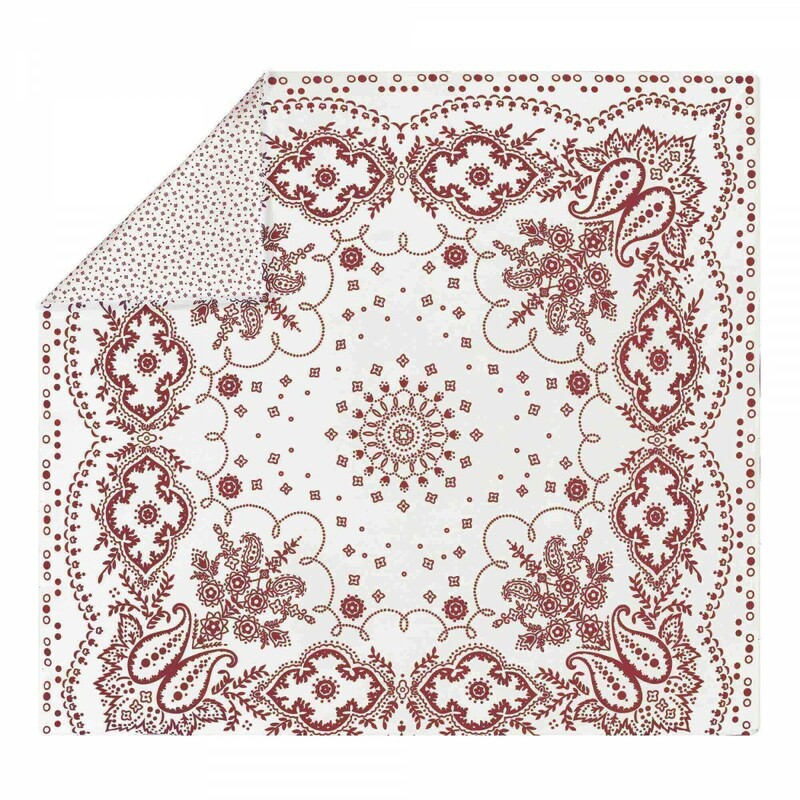 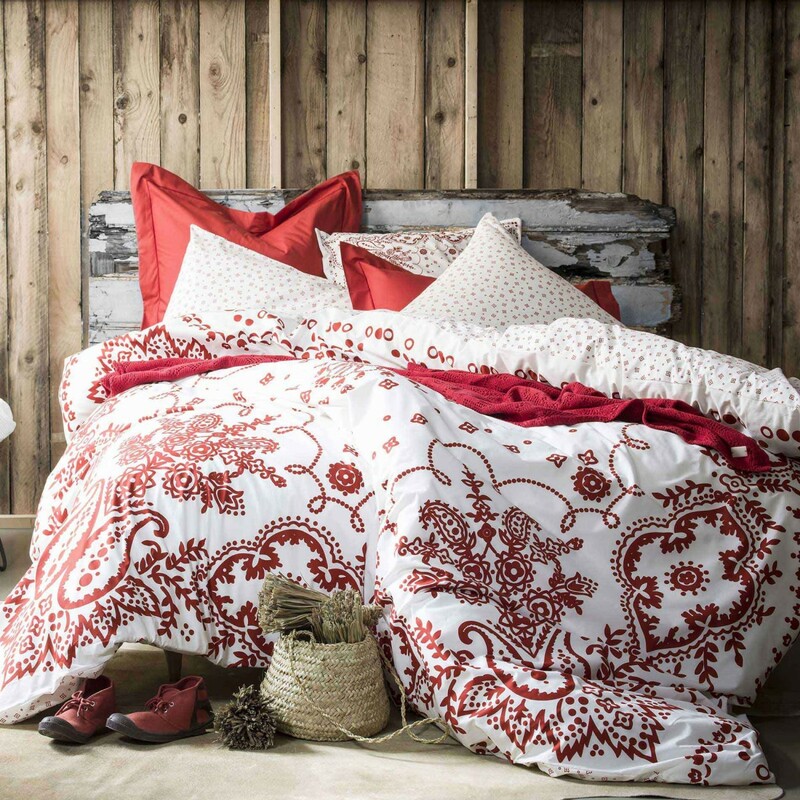 The Bandana design is back this season in sienna red on a meringue background. 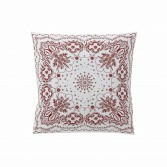 The Bandana had its hour of glory in the Eighties, it has not stopped being available in a variety of ways for 35 years. 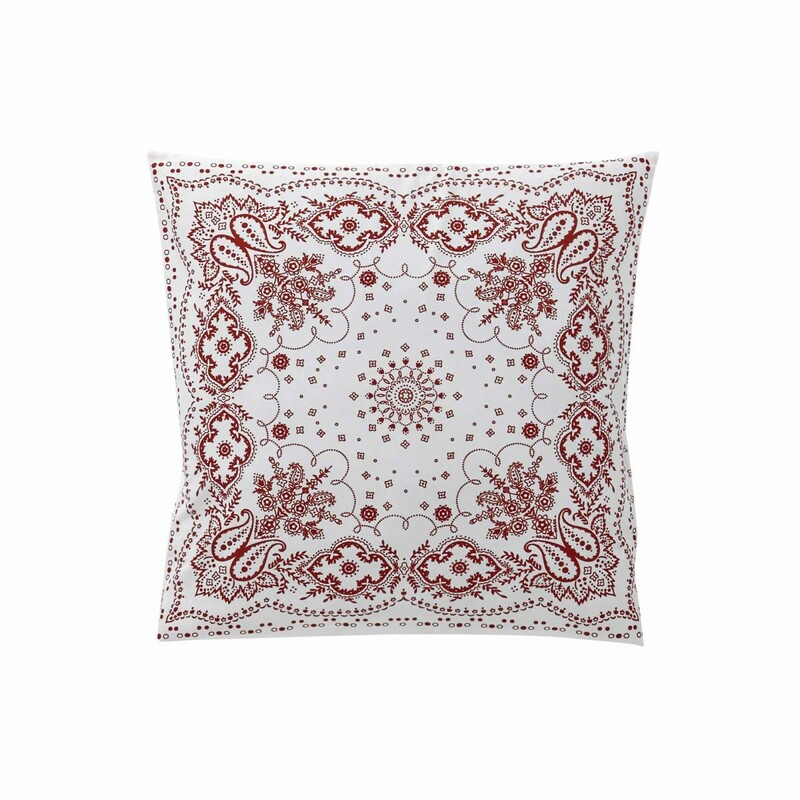 The perfet ally if a classic and casual look, the Paisley pattern is indeed to be found not only on bandanas but also on tee-shirts, shorts and sneakers! 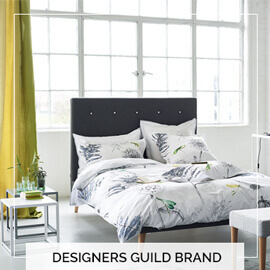 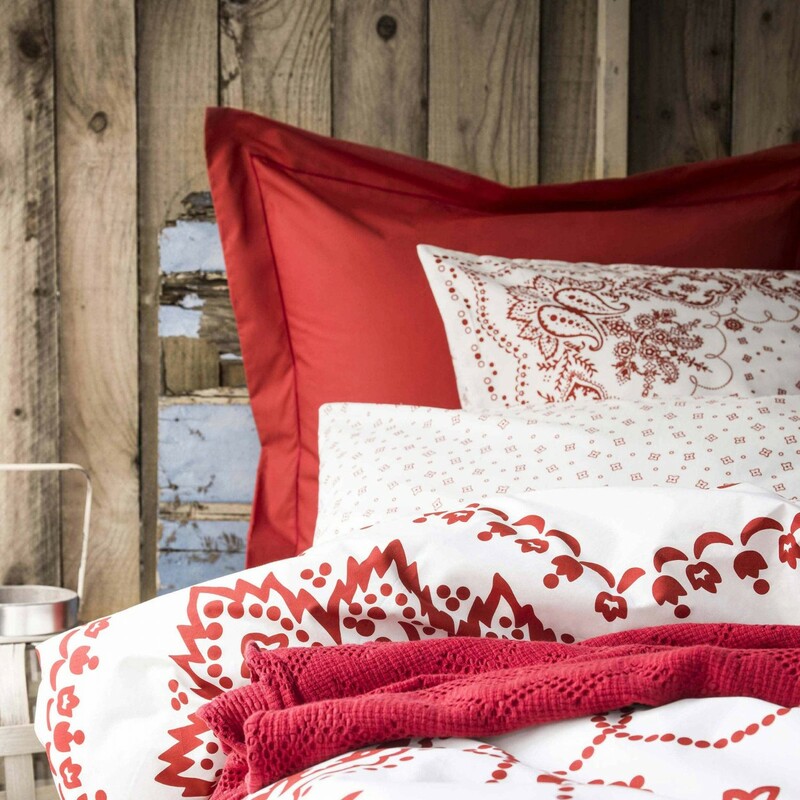 Bensimon pays tribute to this big fashion classic and diverts it to create a printed bed linen design of XXL dimensions. 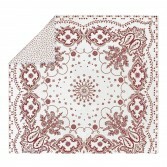 Placed Bandana pattern on the front, and coordinated micro pattern on the back. 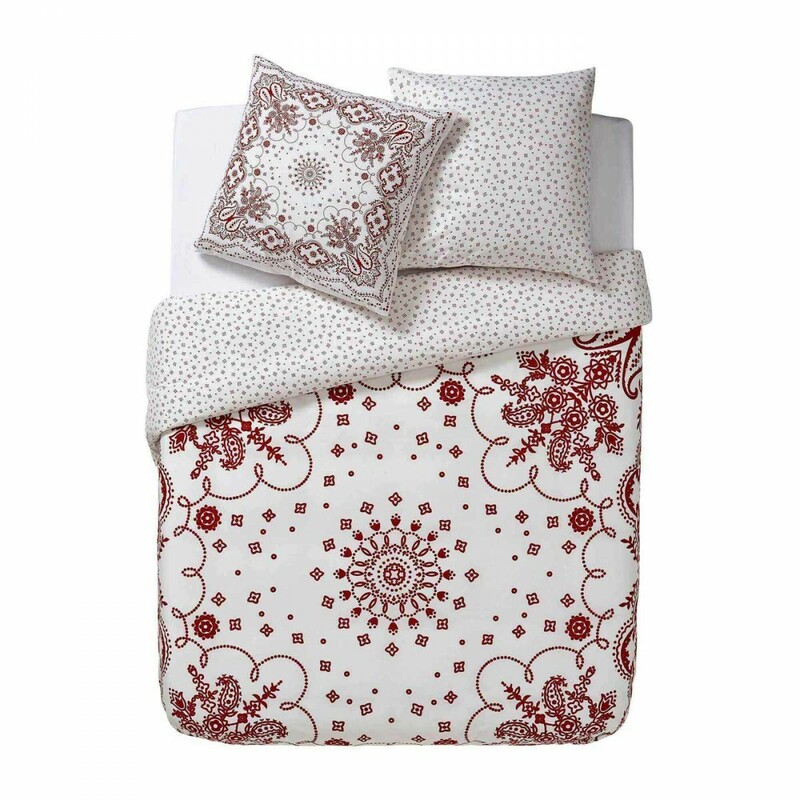 All our duvet covers have a "bottleneck" end fold.